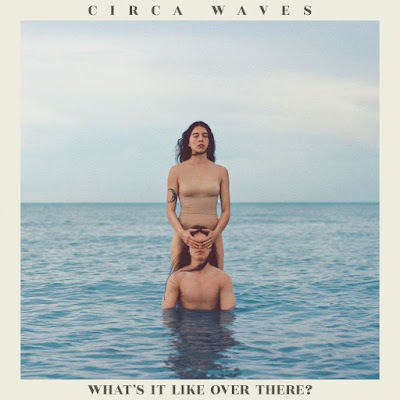 Album Review: Circa Waves – What’s It Like Over There? When it comes to diving into a new sound, Circa Waves are fearless. Each LP has presented different sides of the band, and their new album What’s It Like Over There? shows the world that they can craft up anthemic indie-rock, fused with confident pop rhythms with a dash of nostalgic melancholy. Though the album was recorded in Liverpool, its content was inspired by their trip to the US while on tour. In an interview with DIY, frontman Kieran Shudall admitted that he was amidst a case of writer's block and wasn’t in a good headspace when he chanced upon old writings from their time in America — featuring pages of lyrics, short stories and anecdotes that ultimately formed the backbone of the LP. America's influence on the album is clear, especially on tracks like ‘Me, Myself and Hollywood’, which in some ways is intimate in the way it positions Shudall as isolated from the world, strolling with no place to be down Hollywood Boulevard with a sea of rushing thoughts. The emphasis on individual sounds, such as the acoustic guitar, adds to the track’s intimacy. This particular feeling of isolation amongst a crowded place such as Los Angeles is one that is maintained across a number of songs on the album — reminiscent of an alien feeling homesick for another planet. Though romance, heartache and longing are all prevalent themes throughout the course of the record, it is the introspective thoughts behind the lyrics that are the true essence of the album. Bursting with a certain degree of exuberance, ‘Movies’ is a catchy track that combines the pop sound they are chasing with the Circa Waves of old. The track’s infectious chorus will ring in your head for hours. Equally as pop-influenced is the piano-driven ‘Passport’. The track has a slow build-up but soars as the song progresses. Elements of the track are very old school Hollywood-like, which works to transport listeners to the somewhat idyllic world Hollywood is portrayed as feeling like in films. The album contains various moments that invites listeners to escape towards a world that’s a mix of a 90s rom-com film and 50s Golden Age of Hollywood. 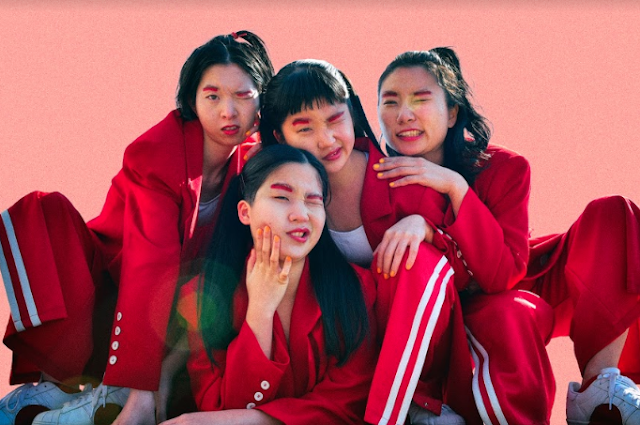 The album’s most ambitious track is ‘Times Won’t Change Me’ — it features a ferocious gospel-like piano throughout, along with assertiveness by the band and it works. If the track was placed in a Hollywood blockbuster, it would be at home in a mighty scene that’s leading towards a thrilling action sequence packed with suspense. What’s It Like Over There? may be contentious amongst those who expected Circa Waves to play it safe, but they didn’t stick to the rules and they should be commended for creating something that’s different from anything they have ever done before. What’s It Like Over There? by Circa Waves is available now.